The amount of yellow journalism in this country has become sickening. You must admit that it is a very sad day. When the most trusted media source in America has become a Comedy Channel. 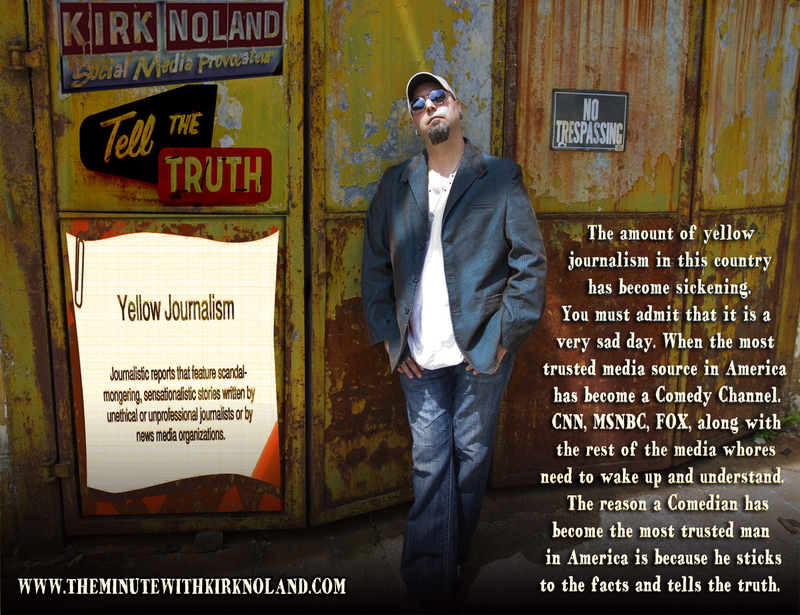 CNN, MSNBC, FOX, along with the rest of the media whores need to wake up and understand… The reason a Comedian has become the most trusted man in America is because he sticks to the facts and tells the truth.